Jesus was baptized like everyone else. When Jesus was baptized He was identifying with us. When we are baptized we are identifying with Him. Luke immediately says “and as He was praying . . .” it’s as if there is no distinction between the actions. Did He pray before He was baptized, while He was baptized, after He was baptized. Presumably it was as He came up out of the water, but we are not told this. I believe this is no accident. Here Luke gives us a hint that there is a connection between the Baptism and the Prayer of Jesus. So, What is it about Baptism that is connected to the Prayer of Jesus? To understand the connection we must first understand baptism. 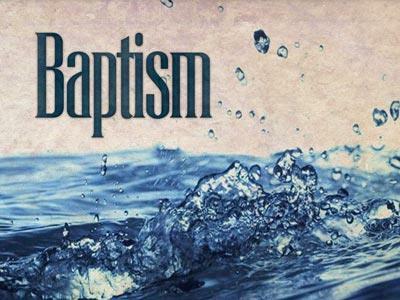 I think the clearest definition of baptism is in the writings of Paul. Romans 6 What shall we say, then? Shall we go on sinning so that grace may increase? 2 By no means! We died to sin; how can we live in it any longer? 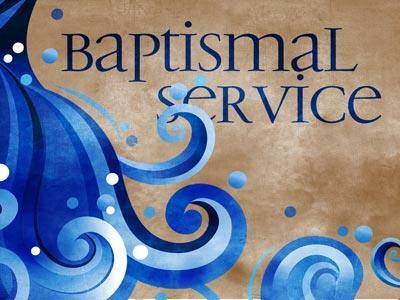 3 Or don’t you know that all of us who were baptized into Christ Jesus were baptized into his death? 4 We were therefore buried with him through baptism into death in order that, just as Christ was raised from the dead through the glory of the Father, we too may live a new life. . . . . 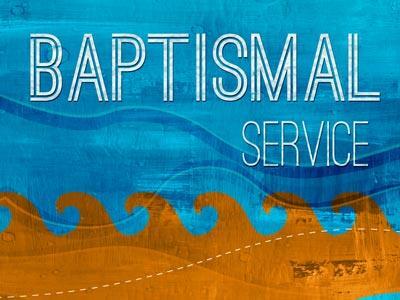 SO, BAPTISM IS IDENTIFICATION WITH THE DEATH, BURIAL, AND RESURRECTION OF JESUS. This is why we baptize with total immersion-not because that method is somehow religiously or magically more efficacious-there is nothing magical about baptism-but because the symbol should somehow match the symbolized. When someone dies you don’t sprinkle their body-you bury them. And for this same reason we do not baptize young children or babies, though much of the Church still does. How can a baby identify with the death, burial, and resurrection of Jesus? And, here, we see, perhaps, how Baptism and Prayer may be united for Jesus. Baptism prefigures Jesus’ death, perhaps something of our nature must die before we really pray (I’ve heard theologians argue that the baptism of John was not the same as the baptism of Jesus-only theologians argue about such things-but if John’s baptism was a baptism of repentance, it is, still, an indication of death to old works of the old man. The symbol is the same). A First Baptism-Noah-the death of all around Noah & his family, so that Noah’s family could become the source of life for all humanity. The worlds was baptized so that God could preserve life and start again. A Second Baptism-Abraham & Isaac-God said to Abram, “take now your son, your only son, whom you love, and offer him on a mountain I will show you”. First mention of the words “only begotten son” and love and worship-(Genesis 22:2,5). The first mention of love in Matthew, Mark and Luke is at the baptism of Jesus, as the Father declares His love for the Son. Clearly, BAPTISM DOES NOT SAVE YOU.